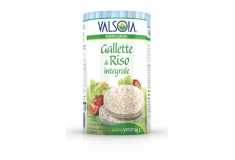 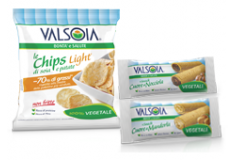 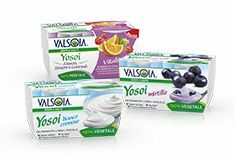 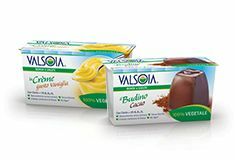 Valsoia Soya Desserts are tasty and low in fat. 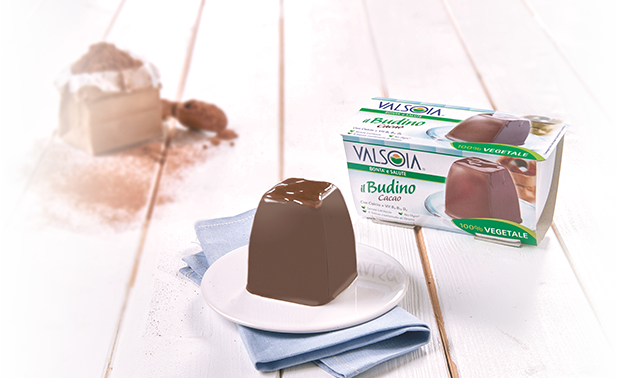 Lactose free, with Calcium and Vitamins, for a tasty treat without feeling guilty. 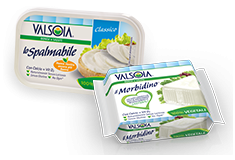 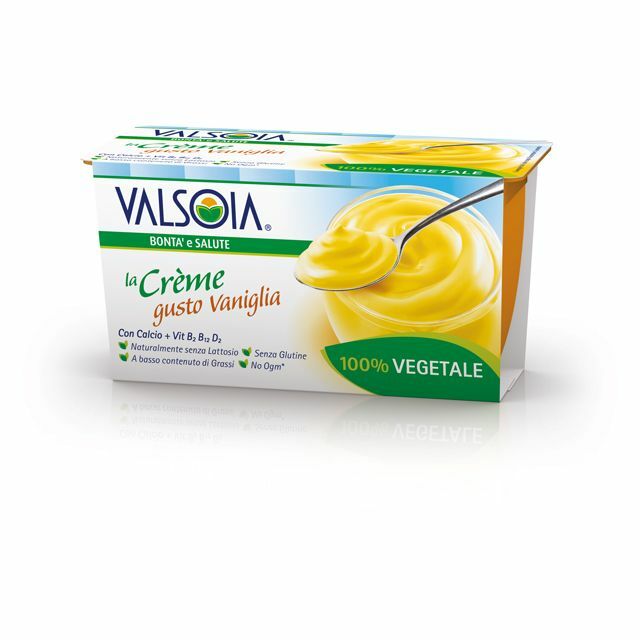 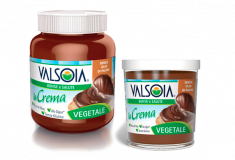 You can taste the traditional pudding, either chocolate or caramel, or try the soft Valsoia Crèmes, in vanilla and chocolate flavours. 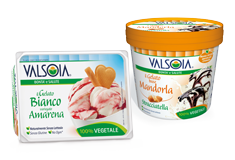 There is also the italian traditional Panna Cotta flavour, a unique proposal in the plant based desserts. 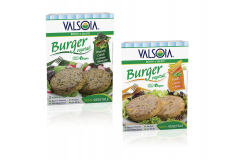 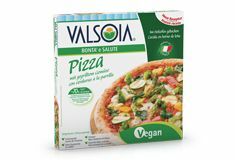 100% Plant-based, Naturally Lactose Free, with calcium + Vit D2, B2 and B12, low fat and low saturated fat content, Gluten Free, Source of protein. 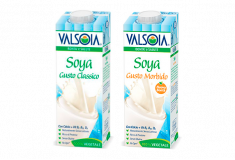 Soya extract (81%) (water, soya beans 8.2%, sea salt), sugar, modified starch, thickening agents: carrageenan - guar gum, flavourings, calcium phosphate, dying: curcuma, vitamins: Riboflavin (B2), B12 and D2. 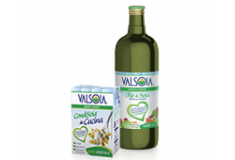 Can be consumed by those who are intolerant to milk or allergic to milk protein, by celiacs, vegetarians and vegans.